Construction Defect Litigation | Schlueter, Mahoney & Ross, P.C. The legal definition of a construction defect is straightforward: it is any problem existing at the time of construction or as a result of construction that reduces the overall value of a home. 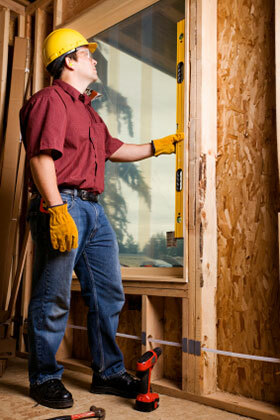 In practice, Denver, CO construction defects are varied and come from many different sources. Some can be determined quickly, such as water damage, but others only show up years later. Denver, CO construction defect law relies heavily on the testimony of experts, as it is very difficult for non-experts to prove that such defects exist. The construction attorneys of Schlueter, Mahoney & Ross P.C. provide construction defect litigation in Colorado, specializing in projects in the Denver metropolitan area. We help defend companies against allegations of a construction job defect with testimony from experts and our own strong knowledge of the law. We will work to present a strong case, representing your best interests with our most experienced litigators. As local Denver, Colorado construction defect attorneys, we have a strong understanding of Denver’s unique local laws. Every state has its own legislation governing the details of construction defect litigation, particularly the timelines that must be followed for a homeowner to make a defects claim. We specialize in local law, allowing us to provide expertise that larger, nationwide law firms often lack. A Denver, CO construction defect claim requires prompt attention and a strong response from the defending construction company, architect, planner or engineer. Whether you are the only defendant named in a particular suit, or you are named alongside others who allegedly contributed to the defect, the construction lawyers of Schlueter, Mahoney & Ross P.C. are prepared to offer you a strong defense in court, or in construction mediation and construction arbitration as needed.